EDRM (Electronic Discovery Reference Model)/Duke Law podcast series, launched in 2018, recently had the pleasure of including special guest, co-Founder of the EDRM, George Socha, Managing Director in BDO’s Technology and Business Transformation Services practice. George’s remarks regarding the need for eDiscovery education and the continued relevance of the EDRM diagram are worth listening to by any litigation support professional. 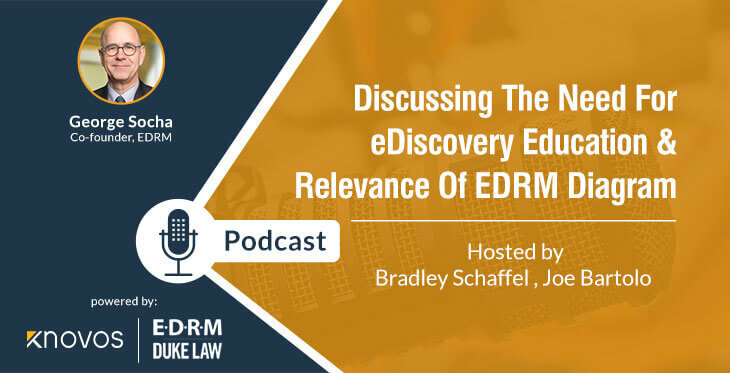 The EDRM podcast series comprises interviews conducted by Bradley Schaffel, CEDS, Manager of eDiscovery and Litigation Support of Sullivan & Crowell, LLP, and Joe Bartolo, J.D., Director of Information Governance and Risk Solutions, of Knovos. Subject matter experts, appearing as guests on the podcast session, express their views and opinions on various matters related to the legal profession’s use of technology to assist in fulfilling information management and compliance obligations. Thus far, four podcast sessions comprising interviews with subject matter experts, such as Scott Cohen, of Winston & Strawn; and Cat Casey of Gibson Dunn are available as a free resource. Each of the podcast recorded podcast sessions are available for immediate listening or to download the audio file at EDRM Website. As an Information Governance and Risk Solutions subject matter expert, Joe has over 13 years of experience providing consultative litigation support services to AM Law 200 Firms, and Fortune 500 corporations throughout North America and the EU. 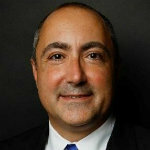 In addition, He was formerly a litigator, with over 7 years of experience as a practicing attorney in New York State. How Do Financial Services Companies Stop Overlooking Emerging Risk Factors?